Over the past 12 months Dorchester have been working with their consultant team, with input from Historic England, Cherwell District Council, Oxfordshire County Council, The Local Enterprise Partnership and Local Stakeholders. We have created an innovative new Masterplan for Heyford Park, to bring forward development in a comprehensive way to provide high quality new homes, employment opportunities, schooling and leisure opportunities for both residents of Heyford Park and the wider neighbourhood to enjoy. 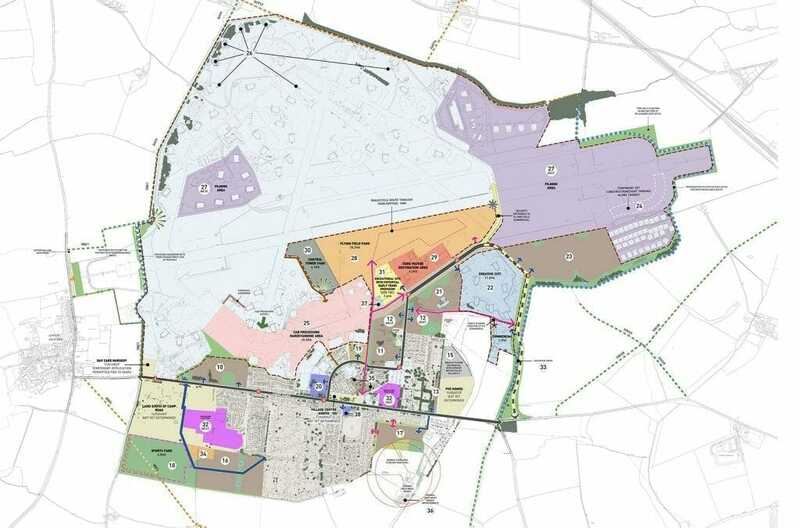 The need for a Heyford Park Masterplan arose following the strategic allocation of Heyford Park in the Cherwell Local Plan 2011-2031, in which the site was allocated for 1,600 additional homes and 1,500 additional jobs. It was recognised that a holistic vision was required to create a place where people want to live, work and play. 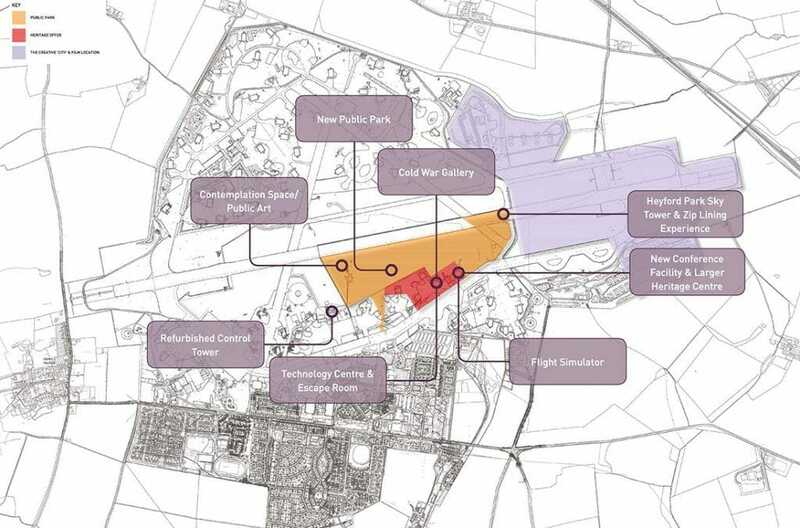 The new masterplan creates a pioneering opportunity in Heyford’s history to provide true accessibility to the heritage of the airfield for local residents. The additional homes also allow for greater improvements to Heyford’s social infrastructure, ensuring our sub-hub status for the local community can be cemented by providing more amenities. Identifying the key themes within the heritage story of Heyford Park- such as technology and aviation innovation or spying and espionage- and designing new activities and attractions that interpret this. Attracting new audiences and broadening the appeal of the site. Finding viable new uses for key structures, thus enabling these buildings to be refurbished. Combining the heritage offer with leisure uses so that residents of Heyford Park can regularly access the asset of the airfield as part of day to day life. Please note: the plan highlights some of the potential offerings that Dorchester are currently discussing with Historic England and other stakeholders.